The Daylily Ambassador program recognizes those clubs, businesses, organizations, communities, individual or groups of individuals that successfully achieve outreach to the general public by extraordinary effort in promoting the daylily. Celebrate our 2019 Daylily Ambassadors! 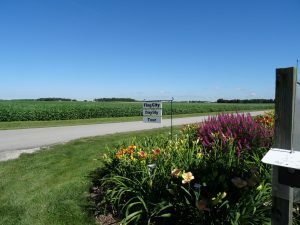 The 4th annual Flag City Daylily Tour will be July 12th through the 14th in Findlay, OH. 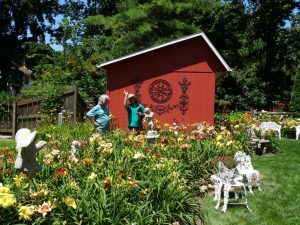 In 2018 hundreds of daylily lovers took part in this self-guided tour of six gardens, each with its own special personality. This year a 7th garden has been added. Flag City was recognized as an official Daylily Ambassador in 2018 and they’re continuing on in 2019! We are so proud! 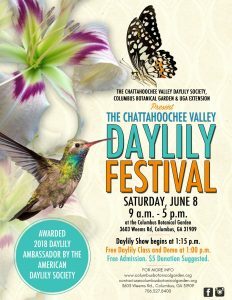 The 6th annual Chattahoochee Valley Daylily Festival will be held at the Columbus Botanical Garden on Saturday, June 8th. We are proud to call this festival an official Daylily Ambassador! The Festival will feature an accredited daylily show, a marketplace with daylilies and arts and crafts for sale, and the opportunity to learn growing tips and see demonstrations. The daylily show is scheduled to begin at 1:15 p.m. The festival is presented by the Chattahoochee Valley Daylily Society, Columbus Botanical Garden and the University of Georgia Extension Service. A club, organization, commercial business or non-profit, community/government, individual or group of individuals is referred to as an “entity” for simplicity. An entity may or may not be affiliated with AHS. International entities are eligible for recognition under this program as well. Events or activities which are predominantly internal to the AHS community do not qualify unless they are involved with other groups and/or go well above and beyond traditional club outreach activities. Each entity is evaluated individually upon its own merit and effort in promoting the daylily since the activities may vary considerably. Involving, if possible, participation of private citizens, business owners, non-profits, and governments (including schools). 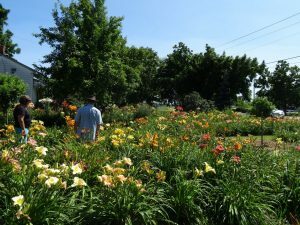 Widening awareness of the value of daylilies to the homeowner, gardener, landscapers/nurserymen, community, and the general public. Engendering pride and public support through daylily-related celebrations. Involving a broad scope of the age demographic in activities for youths to seniors. Publicizing the daylily event or celebrations in multiple ways. For example, print media, broadcast media, personal appearances, the Internet (email, websites, blogs, etc. ), social media (Facebook, Twitter, Instagram, etc.) and media yet to be invented. This list is not all inclusive. 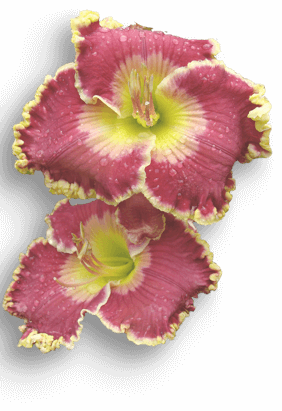 Nominations for Daylily Ambassador may be submitted by an entity or the entity’s sponsor. In addition, they may be submitted by any AHS member. New candidates may be submitted for evaluation by the Committee at any time during the year. All nominations must be submitted using this online form. The PDF of this form may also be printed, filled out, scanned and emailed to displaygardens@daylilies.org. Upon a positive majority evaluation by the Daylily Ambassador Committee, the entity shall be presented to the AHS Marketing Chair for approval, after which the recognition process will proceed. A Proclamation shall be generated by the Committee for signature of the AHS President. Daylily Ambassdors will be publicized in the Daylily Journal, the Email Robin, Daylily Enews as well on all AHS Social Media. Since recognition occurs throughout the year, publicity in the Daylily Journal will be limited to one issue, as determined by the editor.